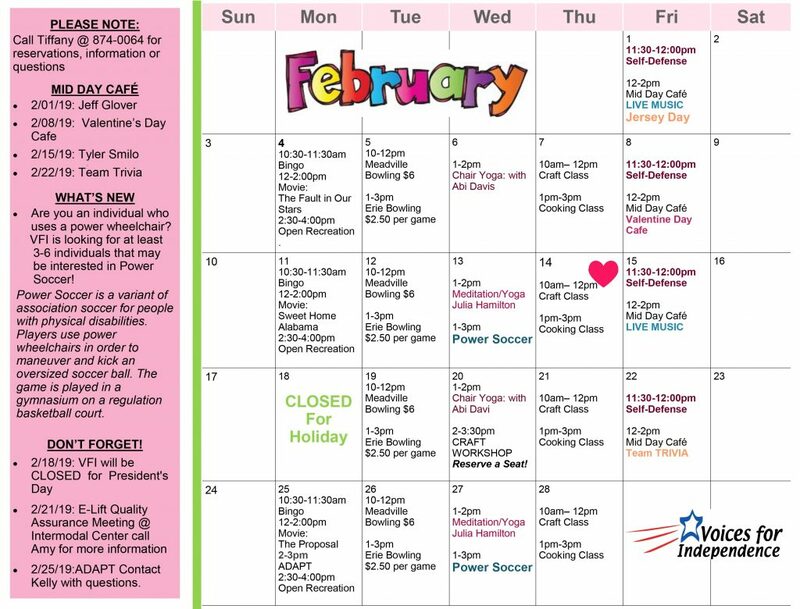 Erie’s January 2019 Activities Calendar is Available Now! 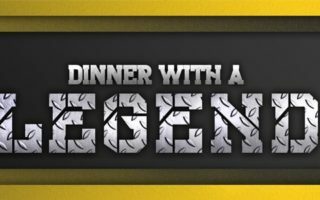 Hello, Erie friends! 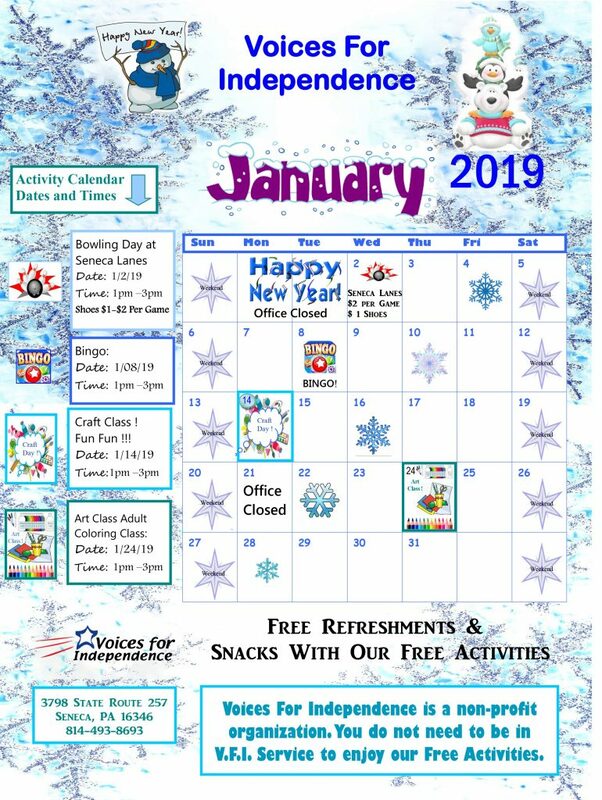 Not only are we approaching the new year of 2019, but we are also entering a brand new month of fun and exciting activities in January! 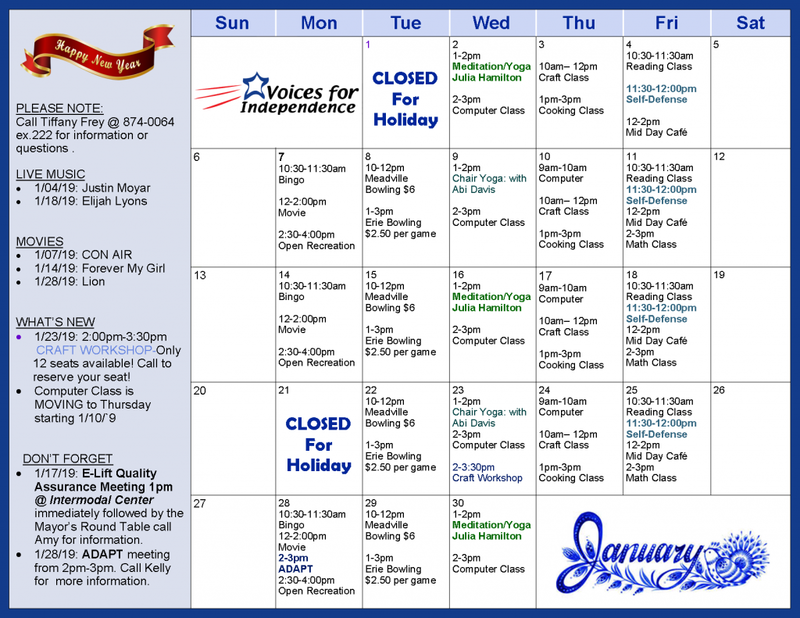 Check out our January Erie calendar to see what VFI can do for you– Hope to see you all in the new year! 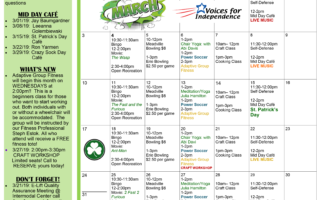 November’s Erie Activities Calendar is Here! 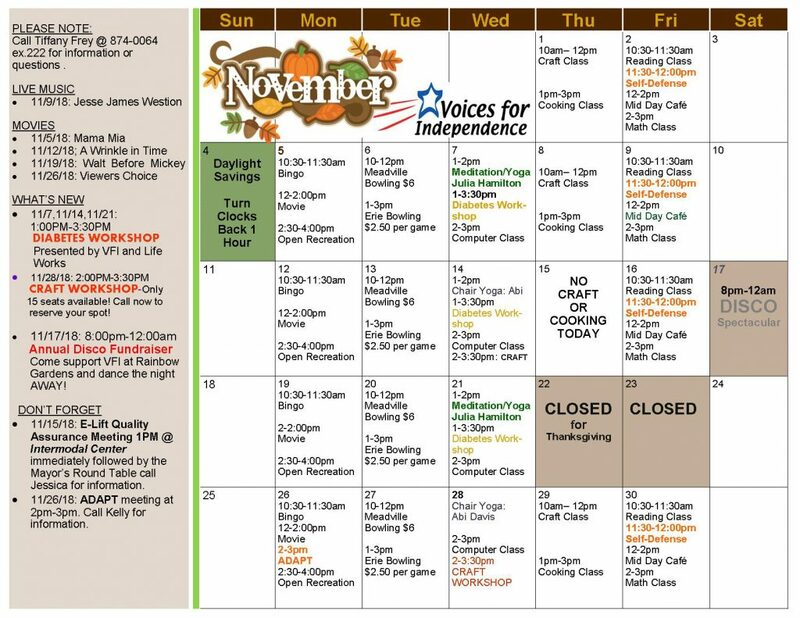 Hello and welcome to November 2018, VFI friends! We hope that everyone had a frighteningly fun Halloween, and we hope to see you soon at one (or ALL) of our scheduled activities in November! 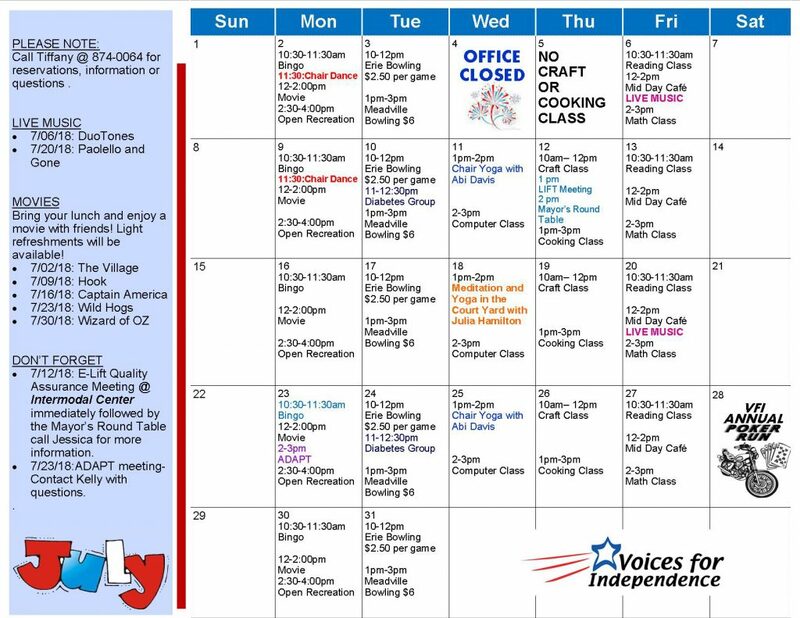 In addition to our regularly scheduled activities, we have a Diabetes Workshop on Wednesdays, a specialized Craft Workshop on 11/28, and the annual DISCO SPECTACULAR (tickets available now) on 11/17! NHT Informational Video & VFI YouTube Account! 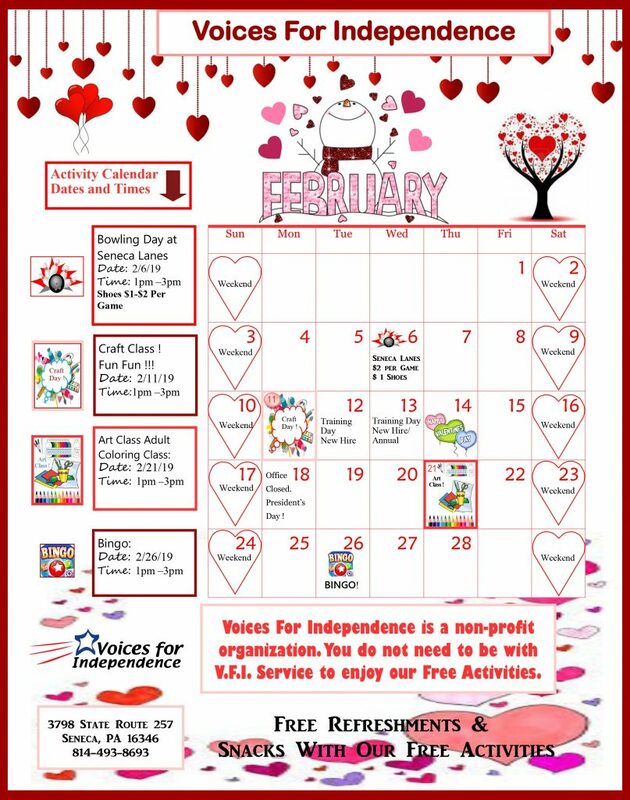 Hello and good afternoon to all of our Voices for Independence family! Voices for Independence has recently finalized a BRAND NEW informational video about our Nursing Home Transition program, and is the first OFFICIAL upload to our all-new YouTube Channel! This video features just a few of our Nursing Home Transition success stories– individuals who VFI helped transition back to the community from a nursing facility. Watch/share the video below to catch a glimpse into what Voices for Independence can do for you– and don’t forget to Like/Subscribe to stay updated with all of the latest VFI content! NHT Informational Video/VFI YouTube Account! 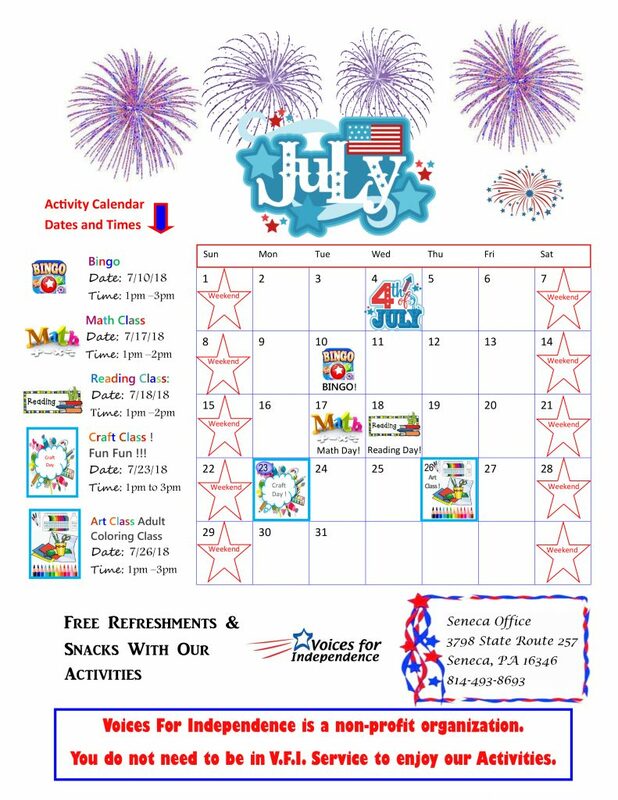 The June 2018 Erie Calendar Has Arrived! Happy June, VFI friends! 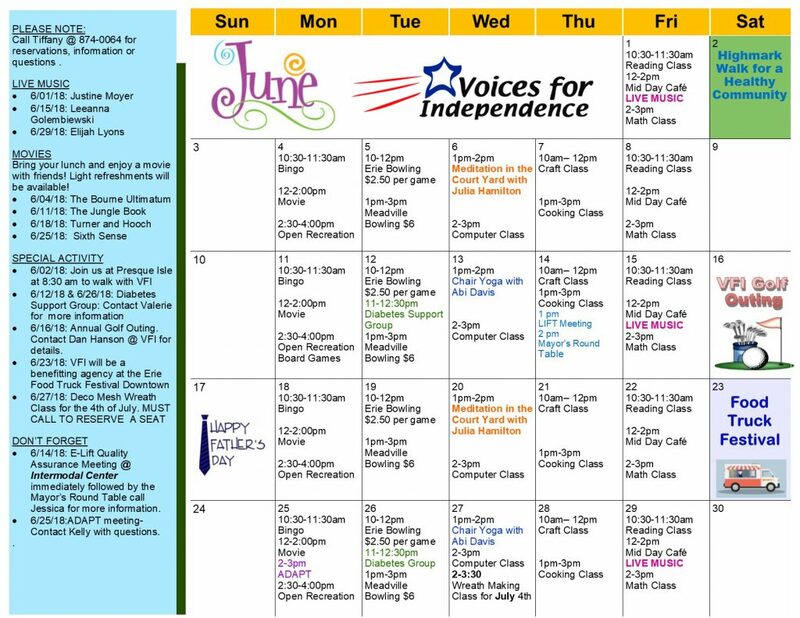 Please see our attached June Erie calendar to see all of the BRAND-NEW activities scheduled– stop in today to see what VFI can do for you!